Congratulations goes to Casey O’Toole on passing his driving test. 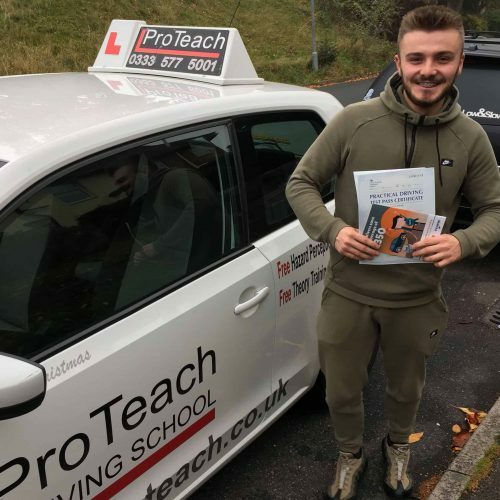 Casey passed 5th November in the rush hour traffic after taking an intensive driving course. Now he can get his BMW insured and on the road. Well done Bob and all the team at ProTeach Driving School.